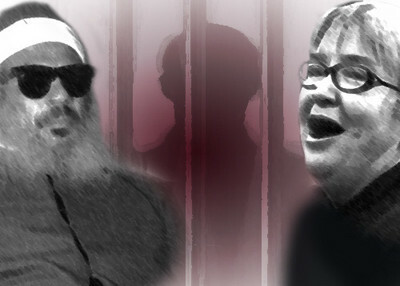 A federal appeals court has denied disbarred attorney Lynne Stewart's challenge to her 2005 conviction for helping her client, Sheik Omar Abdel Rahman, relay messages from his prison cell to other terrorists. The panel's findings rejected Stewart's claims across the board, including the length of her sentence, with the only dissent coming from a judge who felt the trial court's "breathtakingly low sentence of 2 1/3 years … trivializes Stewart's extremely serious conduct." Stewart's client, the "Blind Sheikh," considered the inspiration behind the 1993 World Trade Center bombing, was convicted of a variety of terrorism-related crimes in October 1995. In prison, he was subjected to special restrictions that were "intended to prevent him from directing or facilitating yet more violent acts of terrorism from his prison cell." Those restrictions included the screening of all outgoing and incoming non-legal mail and allowing telephone contacts only with his attorneys and his wife. Such measures often are used in gang and terrorism related sentences to prevent further mayhem by the prisoner and typically are effective. The court in Stewart's appeal noted that restrictions rely on "the trust placed in the attorney." In this case, Stewart repeatedly swore under oath that she would comply with the terms that had been put in place for communicating with her client. Despite these promises, as Judge John M. Walker, Jr. observed, Stewart "executed a scheme of lies and deception against the government to keep the lines of communication open between Rahman and Egyptian jihadists" in al Gama'a al Islamiyya. Stewart served as a conduit between Rahman and the outside world for years, allowing him to exercise his influence over a cease-fire that had been declared by al-Gama'a. Believing that the written response was not forceful enough, Stewart continued to disregard the restrictions and spoke with a Reuters reporter based in Cairo, telling him that "Abdel Rahman was withdrawing his support for the ceasefire that currently exists." Although Stewart claimed these actions were simply "zealous advocacy" on behalf of her client, a jury in the Southern District of New York called them criminal. She was convicted of all counts arising from her unauthorized contacts with and behavior related to the Blind Sheikh. The appellate court notes that Rahman was a key player in conspiracies to assassinate Egyptian President Hosni Mubarak while he was visiting New York City; to attack military installations; bomb the World Trade Center in 1993; and a conspiracy to bomb bridges, tunnels, and the federal building containing the New York office of the FBI. "Abdel Rahman, a blind Islamic scholar and cleric, was the leader of [a] seditious conspiracy, the purpose of which was "jihad," in the sense of a struggle against the enemies of Islam. Indicative of this purpose, in a speech to his followers Abdel Rahman instructed that they were to "do jihad with the sword, with the cannon, with the grenades, with the missile…. against God's enemies." Abdel Rahman's role in the conspiracy was generally limited to overall supervision and direction of the membership, as he made efforts to remain a level about the details of individual operations. However, as a cleric and the group's leader, Abdel Rahman was entitled to dispense fatwas, religious opinions on the holiness of an act, to members of the group sanctioning proposed courses of conduct and advising them whether the acts would be in furtherance of jihad." As the appellate court explained in denying Stewart's challenges, "Abdel Rahman's instrumental participation—indeed, his leadership—would…have been unavailable to the conspiracy without the active participation of Stewart." Despite the dissenting opinion, the court left open the chance for reconsideration of her two-year sentence. Consequently, the district court will have an opportunity to reconsider that sentence, taking into consideration additional facts, including that Stewart intentionally lied to investigators and attempted to hide her criminal conduct. Whether or not the District Court enhances Stewart's sentence, this ruling comes at an important time. As the Justice Department begins preparations for the criminal trial of Khaleed Sheikh Mohammad in the Southern District of New York, it must remain vigilant to ensure that sensitive information is not leaked by defense attorneys. While this case surely will be used as a prime example for why terrorists should not be tried in civilian courts, it is important to remember that Stewart was an anomaly. Her actions violated not only the Rules of Professional Conduct governing attorneys, but court orders and common sense. A sentence reflecting the true nature of her crimes is not only consistent with the evidence presented at her trial but demanded by the law. It would be very interesting and helpful, to know more about Stewart's background in order to better understand her actions. This would be instructive as to identifying and inderticting others sympathetic to the terrorists.